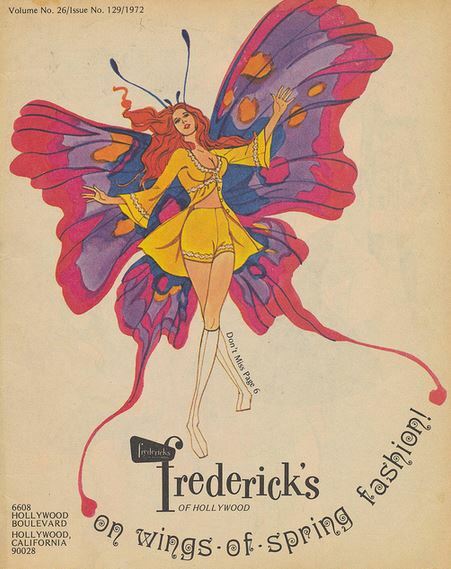 Frederick’s of Hollywood is best known for selling ladies lingerie in it’s various stores scattered across the United States of America. 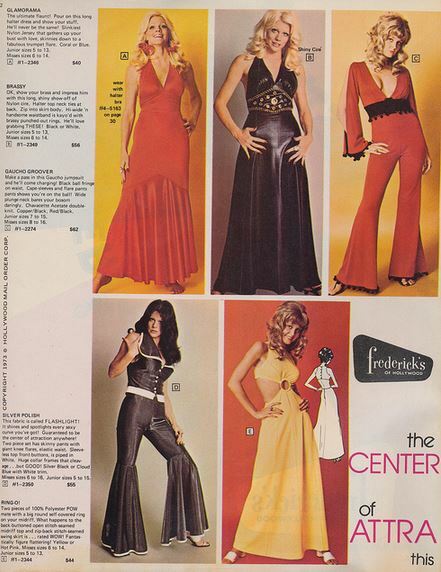 The underwear based business was started way back in 1947 by the inventor of the Push-up bra Frederick Mellinger. 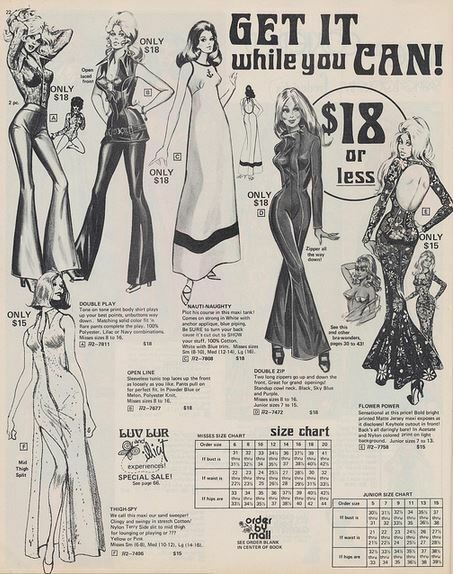 His first store on Hollywood Boulevard was a local landmark of the area and became an instant hit with the glamourous actresses of the time. 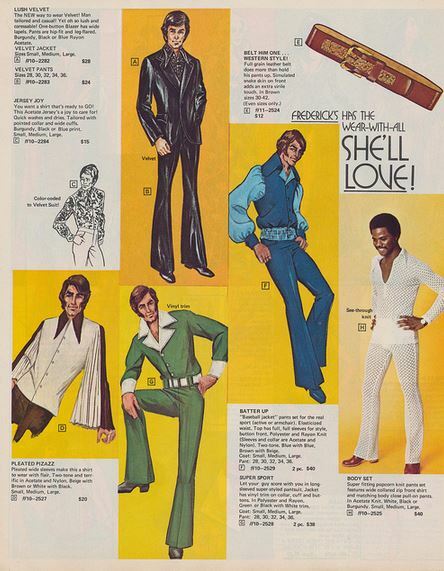 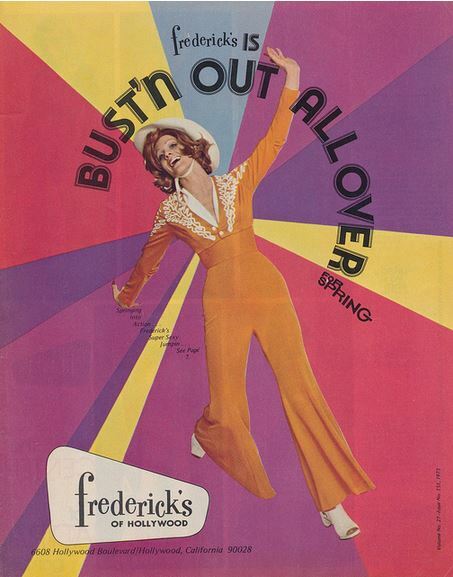 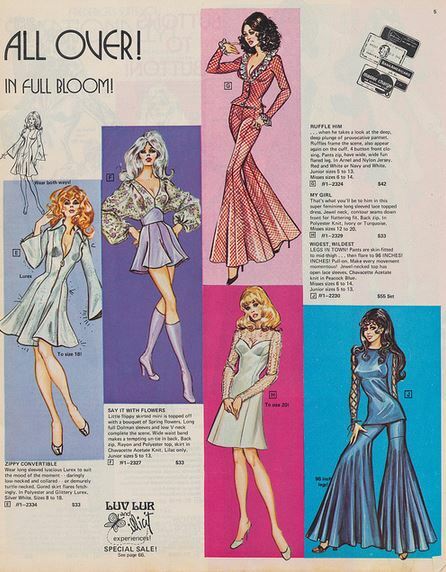 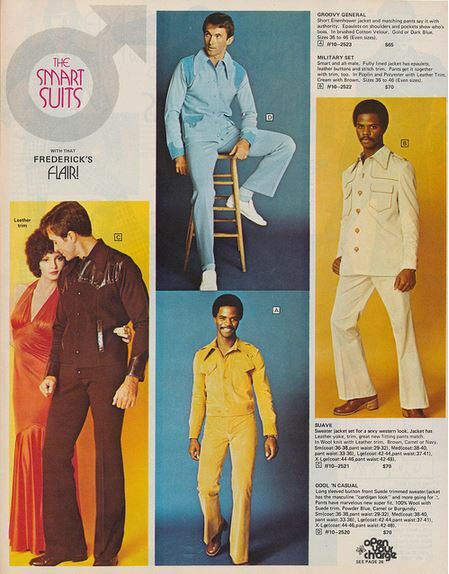 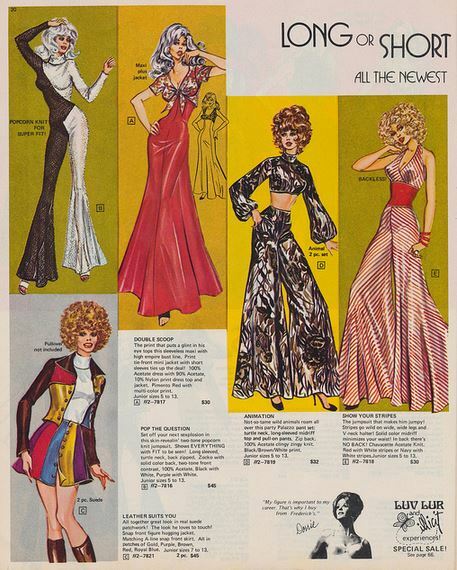 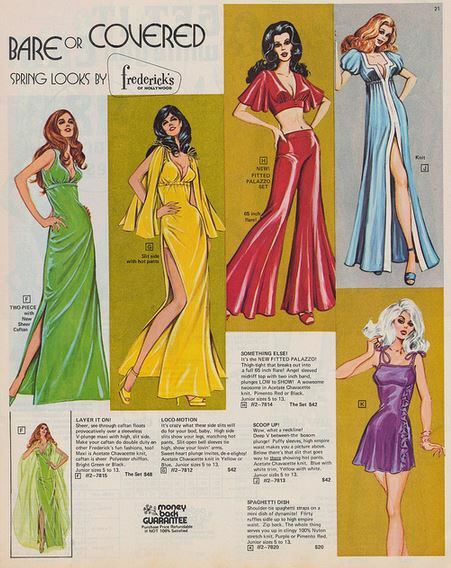 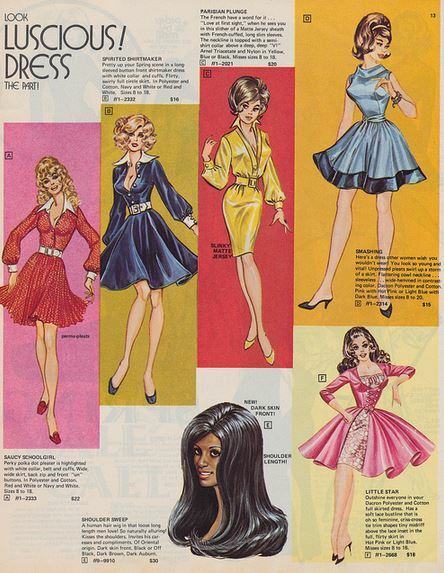 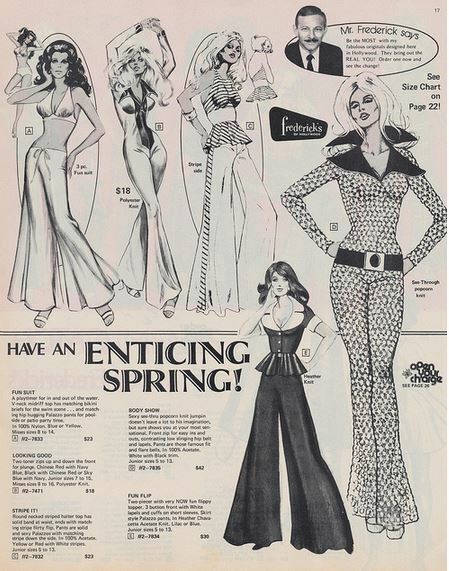 In this post we shoot forward a few years to check out some pages from their seventies catalogues, and unlike a mischievous teenager in the 1970s – we’re not focusing on the underwear pages. 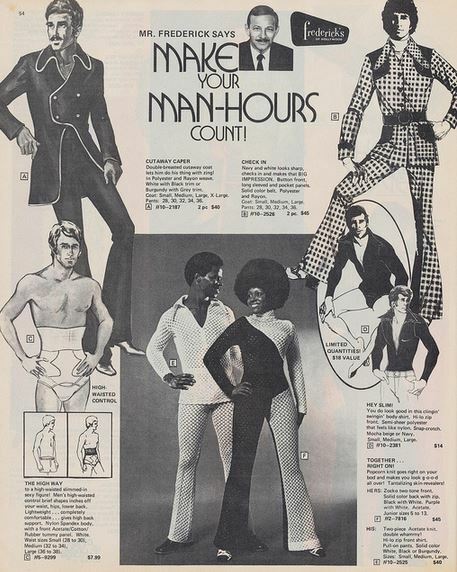 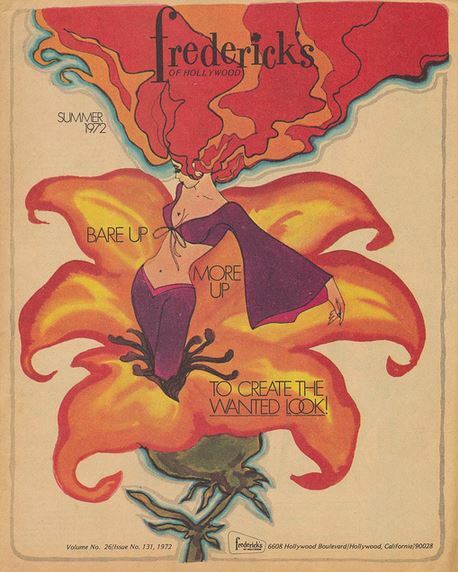 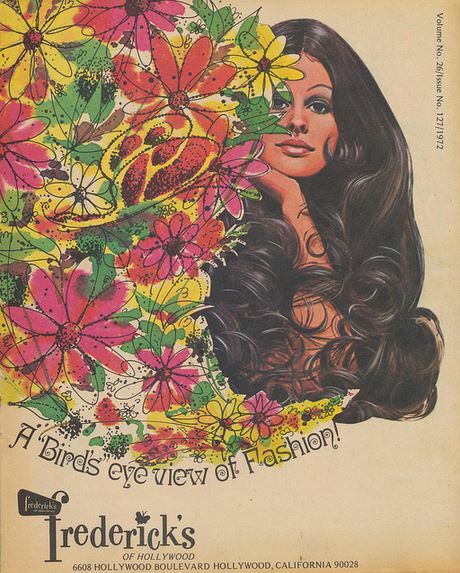 Here we take a look at some ladies and gents clothing and learn how to make the man hours count with Frederick and some superfly suits, browse at some slightly psychedelic sketchings and take a Birds eye view of fashion – Get it while you can!